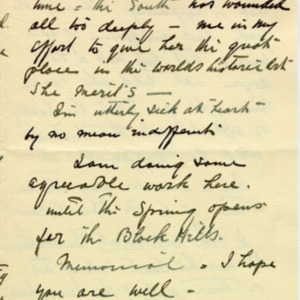 Gutzon Borglum ascribes the failure of his work at Stone Mountain, Georgia to the "dull, dead indifference of our time" which leads him to comment on the location of "The Aviator." 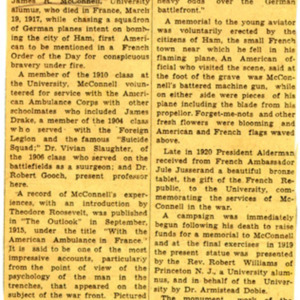 The start of World War II led many to recall McConnell and his service; this article appeared in the Daily Progress. 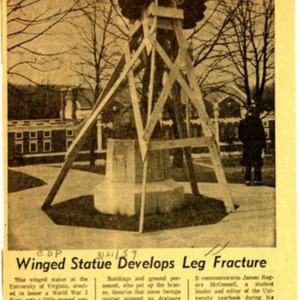 Due to extremely cold weather, water froze inside the hollow statue causing a crack to occur in the bronze; the Daily Progress covered the work to restore the statue. 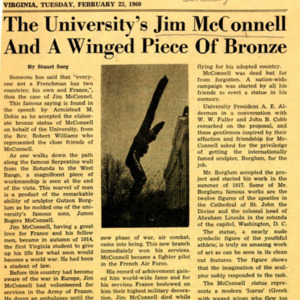 The Cavalier Daily, the student newspaper of the University of Virginia, remembers James McConnell and the statue, which is interpreted as an Icarus figure. 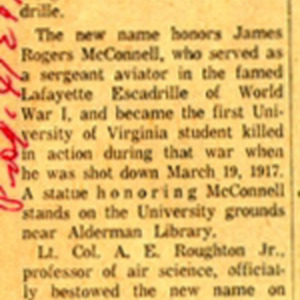 A drill team of the Air Force Reserve Training Corps at the University adopt McConnell's name to represent their group, the McConnell Escadrille. 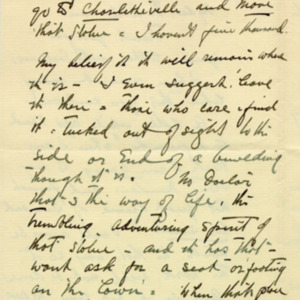 This letter, written by two students, appeared in the Cavalier Daily as a response to an editorial which criticized the statue. 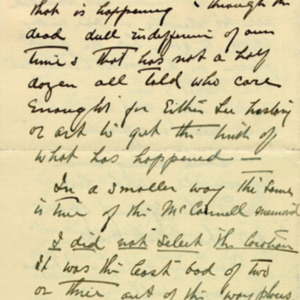 The two students reminded the author about the significance of the statue and its origin. 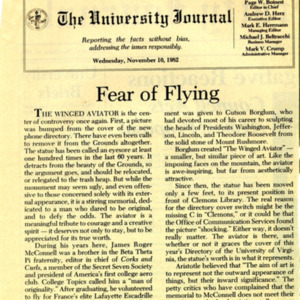 An article in the University Journal defends the purpose of "The Aviator" on the grounds of the University. 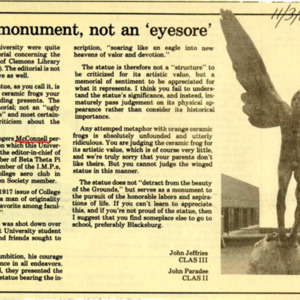 Apparently during this month, calls were coming in to the University requesting that the statue be moved from campus. 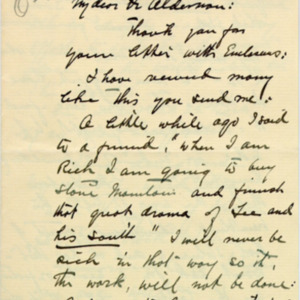 ← Photographs of "The Aviator"